for $1,499,000 with 4 bedrooms and 4 full baths, 1 half bath. 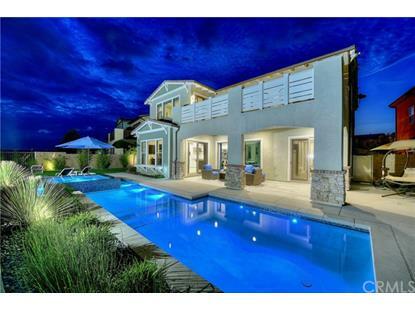 This 3,407 square foot home was built in 2016 on a lot size of 0.1590 Acre(s). 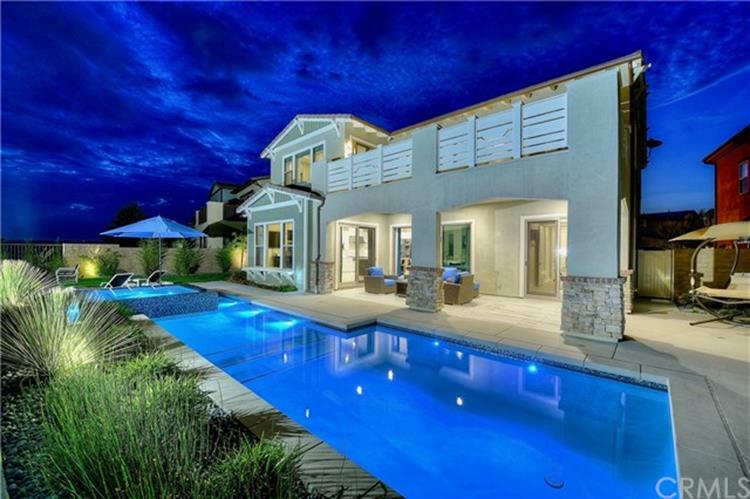 Beholding the rewards of near-new construction and a lengthy list of luxurious custom upgrades, this spacious Craftsman-inspired residence is ready to enhance your lifestyle in Rancho Mission Viejo. A towering ceiling with ultra-modern chandelier complements the open-concept home's entry, which provides passage to a dedicated office, 4 ensuite bedrooms including one on the first floor, and 4.5 baths in a floorplan measuring approx. 3, 407 s.f. Powered by an owned solar system, the model-caliber residence is accentuated with disappearing sliders that open the home to the outdoors, wood-look plank tile flooring, upgraded Shaker cabinetry, a stacked-stone widescreen fireplace, tankless water heater, and a 3-car garage with epoxy floors. Centered around a massive island with seating, the kitchen features quartz countertops, a walk-in pantry, stainless steel farmhouse sink, and pro-level stainless steel KitchenAid appliances. A dramatic semi-circular staircase with custom rail leads upstairs, where residents will discover an airy loft, and a master suite with large view deck, custom marble and oversized walk-in closet. Panoramic hill, valley and city-light views enhance the beauty of newly finished grounds that boast more than $200, 000 in improvements, including a gated entry, a new pool and raised spa, built-in BBQ, a covered California room, synthetic turf and drought-resistant landscaping, rock and brick hardscape finishes, and upgraded tile patio surfaces.